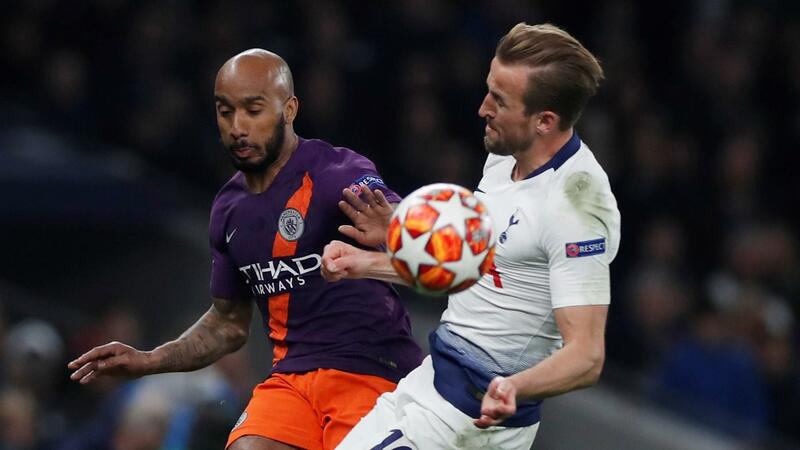 Manchester City and Tottenham will clash at the Etihad stadium on Wednesday for the second meeting of their Champions League quarter-final tie. The Londoners hold a slender 1:0 lead, but given they did not concede at home, now if they score it will count as two. Worth mentioning: Tottenham gained valuable 1:0 lead from the first encounter in the previous week. Now the two most recent meetings have finished in 1:0 results, but all of the previous four produced over 2,5 goals and three of them witnessed goals at both ends. Each of the last eight meetings in Manchester featured over 2,5 goals and the two sides scored in six. The two most recent matches played at Etihad saw the Citizens victorious by three goal margin, something they will need to repeat if they are about to progress past the Spurs. Top performers Manchester City: Sergio Aguero 26 goals 7 assists, Raheem Sterling 21 goals 9 assists, Leroy Sane 15 goals 10 assists. Top performers Tottenham: Harry Kane 23 goals 4 assists, Heung-Min Son 15 goals 6 assists, Lucas Moura 12 goals. Worth mentioning: None of the previous ten Manchester City matches finished in draw. The Citizens recorded easy 3:1 win over Crystal Palace at the weekend and continue their chase for the title. Only the most recent of their last five matches produced over 2,5 goals and saw both involved teams hitting the target. If the Citizens are able to repeat any of their last eleven home results, we will witness at least extra time on Wednesday. Each of Tottenham’s last five matches was won by the home side. The Spurs are on a three game run without conceding, but all of these took place at their home stadium. The team lost all of the last five visits on domestic soil, but the only away win during that period came exactly in the Champions League over Borussia Dortmund. Missing players Manchester City: Claudio Bravo will miss for sure, while Oleksandr Zinchenko is doubtful. Missing players Tottenham: Eric Dier, Vincent Janssen, Harry Kane and Eric Lamela will miss trough injuries. Dele Alli, Serge Aurier and Harry Winks are under question.